It is our belief that professional excellence is best fostered in a large and open community of practice. For this reason, CCG consists of a leadership team of four Practice Leads (CCG Advisory, CCG Consult, CCG Learn and CCG Analytics), supported by over 30 Principals, Lead Consultants, Consultants, and Interns, and an associated community of over 70 change and strategy consultants, programme managers, clinical and industrial psychologists, organisational development professionals and HR consultants. For more information on our Practice Leads, please request a brochure here. The company is run from our offices in Johannesburg and Cape Town, South Africa and is supported by full-time business support professionals who manage the office and support our professional consulting teams. In 2018 we opened a branch office in Sydney, Australia from where we service the Australian and Asia Pacific region. We have professional relationships with colleagues in the United States, Canada, the United Kingdom, and throughout Africa. We are proud to provide our clients with decades of combined experience and we are committed to the highest standards of ethical practice and professional integrity. Our mission is to serve so that our clients might lead and serve at a higher level of competency and with greater confidence, particularly during times of complex change. 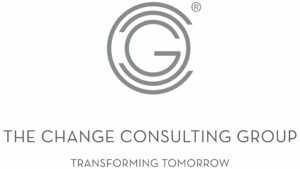 We are deeply committed to supporting the leadership of South African and Australian companies in the context of change and strategy implementation, and to building organisational change capability and capacity. Our approach is deeply collaborative and relationship driven, and we partner with our clients to ensure the mutual success of the projects that we are involved with. Use the form on the right side of this text to engage with our Practice Leads and discuss your specific needs. We look forward to providing you with outstanding service.